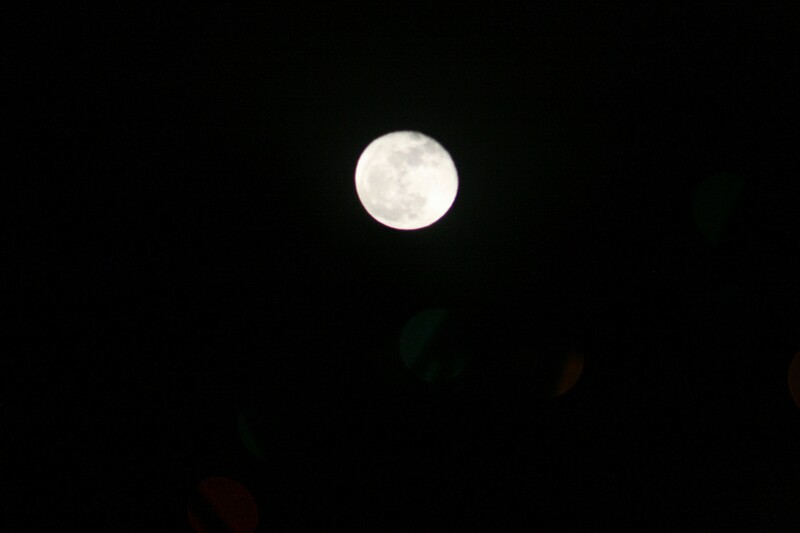 Okay, so the moon was only about 97% full. Close enough for government work! 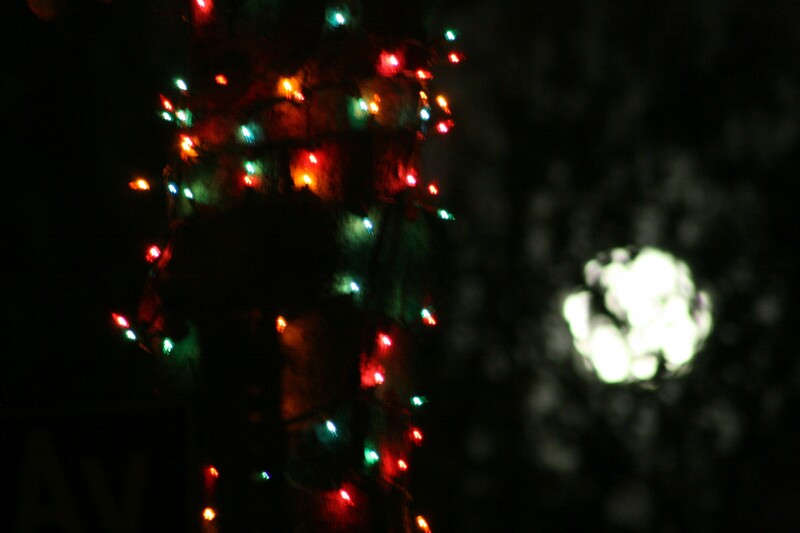 ..between the moon & the Christmas lights. 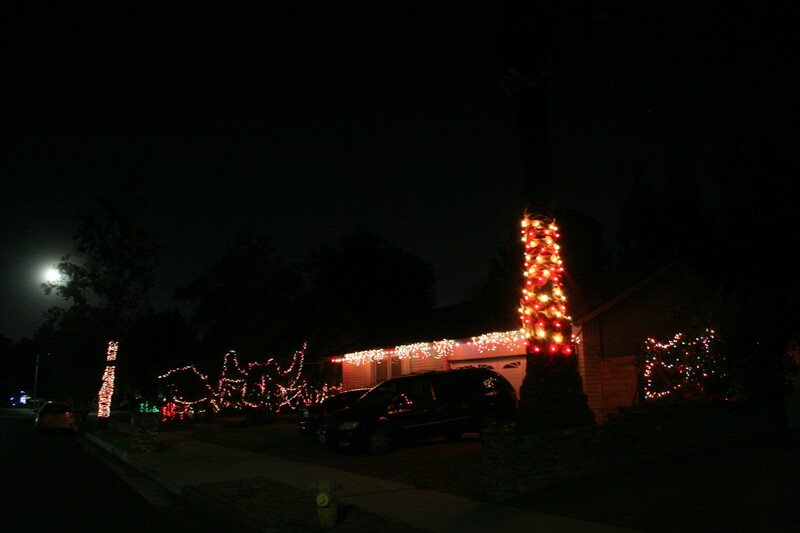 The dynamic range is too large! 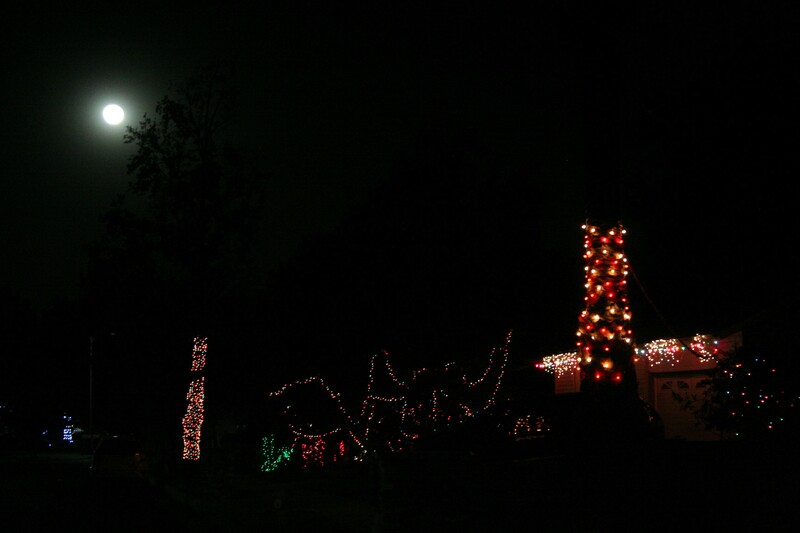 …pull in the Christmas lights and the moon is completely overexposed. 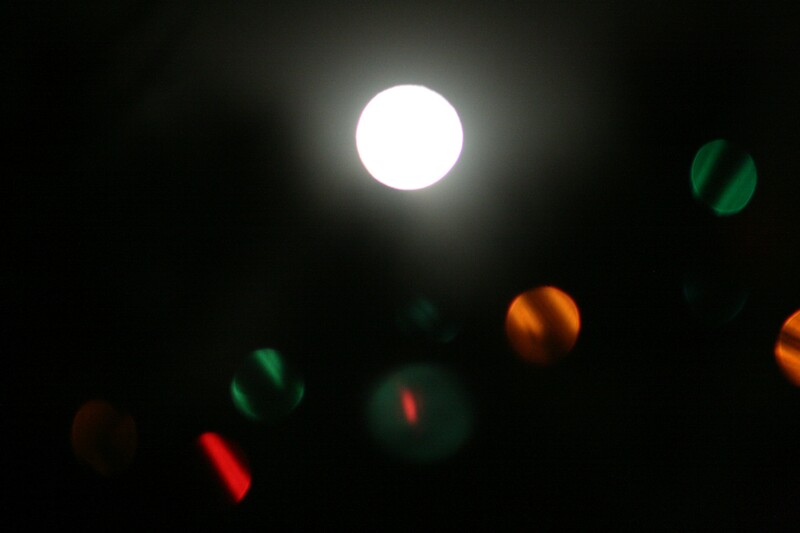 …and just go for something more abstract. Time to post this before the electricity goes out. It is REALLY howling out there tonight, and it’s just a matter of time before the wind brings down a tree branch and we go dark!